My husband is a commercial fisherman. My family fishes. Our livelihood depends on sustainable seafood and fishing practices. 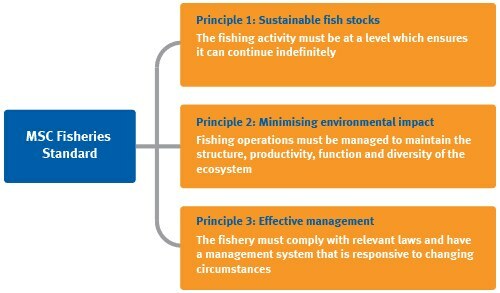 In an effort to reverse this statistic, sustainable fishing practices involve management techniques developed by scientists, conservation groups, and the fishing industry. Standards of sustainability include catch limits based on current stock limits to ensure preservation and maintenance of the species. The Marine Stewardship Council (MSC) certifies sustainable seafood. This voluntary certification helps consumers quickly identify sustainable seafood products by looking for the blue label. Dolphin bycatch is just one example of problems in common fisheries. Consumers don’t always understand the consequences of their purchases. Fortunately, there are choices. MSC labeling makes it easy. 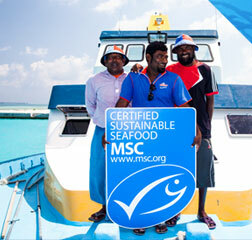 The blue MSC eco-label signifies well-managed fisheries and healthy fish stocks. 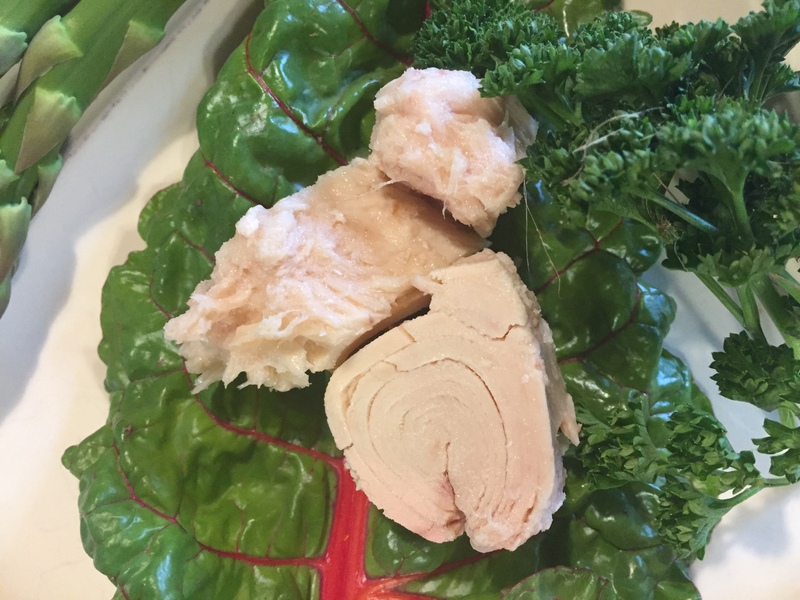 Albacore tuna is identified as a “best choices” fish by the Environmental Defense Fund (EDF). Canned white tuna consists of albacore. Some populations of this highly migratory tuna are healthier than others. Albacore fisheries in the U.S. and British Columbia are well-managed, using pole-and-line gear that results in almost no bycatch. Most other fisheries for albacore, including those for canned white tuna, use longlines, which often catch sea turtles, seabirds and sharks.3)http://seafood.edf.org/tuna. 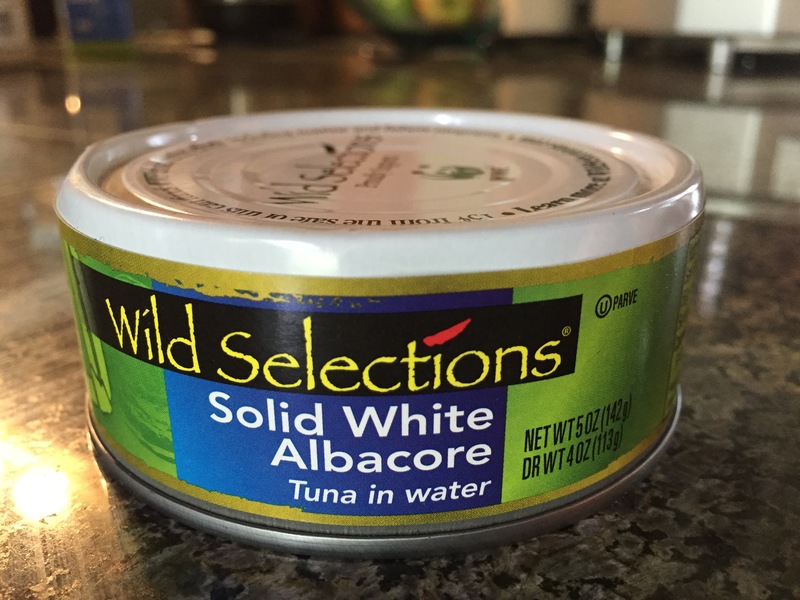 Wild Selections White Albacore is certified sustainable seafood by MSC. In fact, Wild Selections is the only full line of Marine Stewardship Council certified sustainable seafood! Made from only natural, simple ingredients (white tuna, water, salt) that are non-GMO Project verified, this delicious tasting tuna is not only premium quality, but it is 100% traceable! Visit WildSelections.com to learn where the fish was caught Just enter the code on the top of your can. The code is a little hard to read, but after a few tries, I got it right. For the small island nation of Fiji, its beautiful and vibrant marine life has attracted hundreds of thousands of tourists each year to snorkel and dive. By becoming MSC certified, the Fijian Albacore Longline Fishery represents a commitment to safeguard the area’s natural biodiversity for years to come. Long-line fishing is not as good a choice as troll and pole as far as bycatch, but it is much better than purse seine netting. There is still bycatch issues with long-line fishing, but Wild Selections is dolphin safe. Another thing I love about Wild Selections is they have partnered with the World Wildlife Fund (WWF), another organization that was instrumental in my environmental and conservation development as a teen. We all want a “fish-full future”! 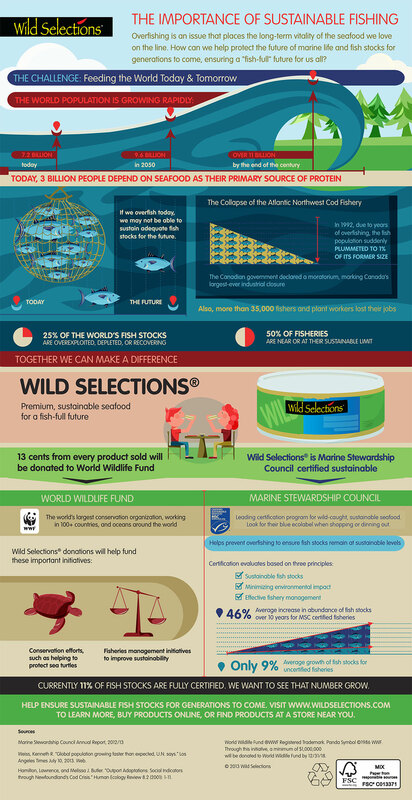 Wild Selections gives back to the oceans by donating 13 cents from every can sold! By 2018, the total donated will have reached over $1 million to fund WWF marine conservation and fishery improvement projects. If you would like to try Wild Selections sustainable seafood, please visit their store locator link. I found it was available in most grocery stores in my area. What about mercury in seafood? The Environmental Working Group has a seafood calculator which can help you figure out how much you can safely eat a week. 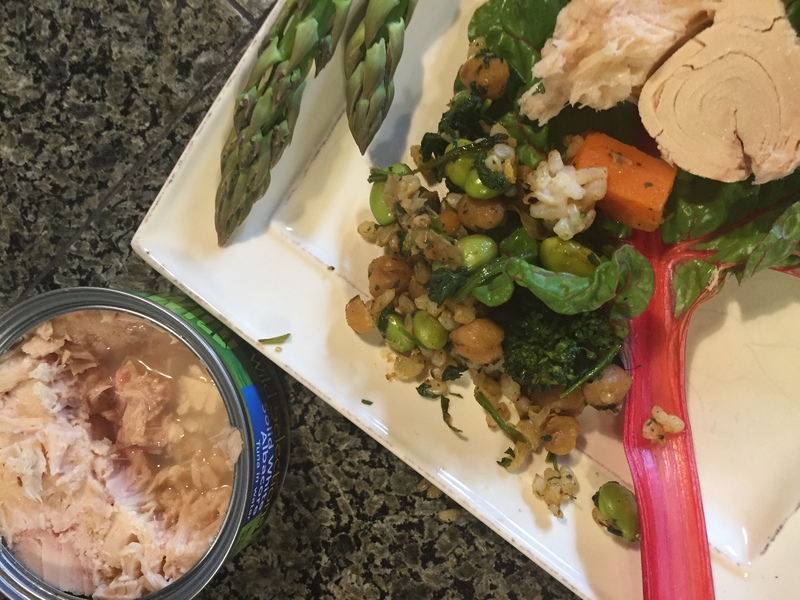 Wild Selections is canned tuna you can eat guilt-free! 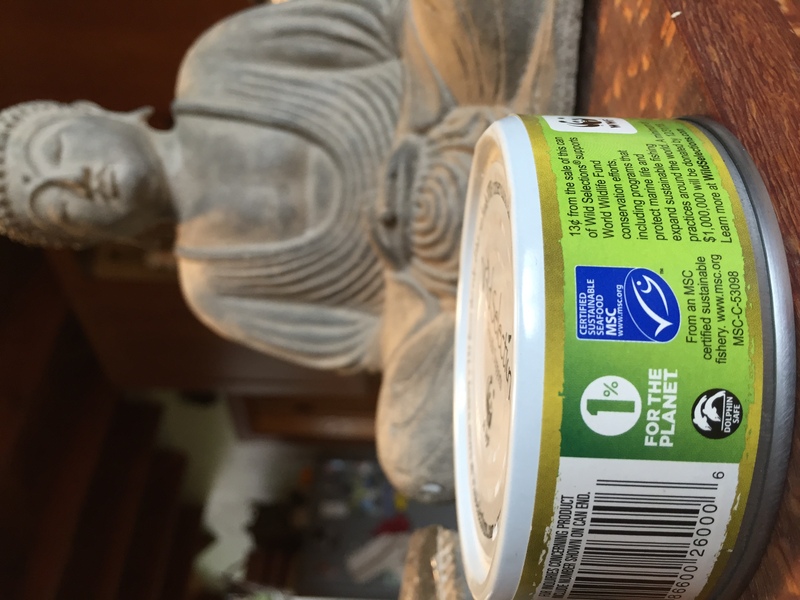 Sustainably harvested, it is your better option for canned tuna.